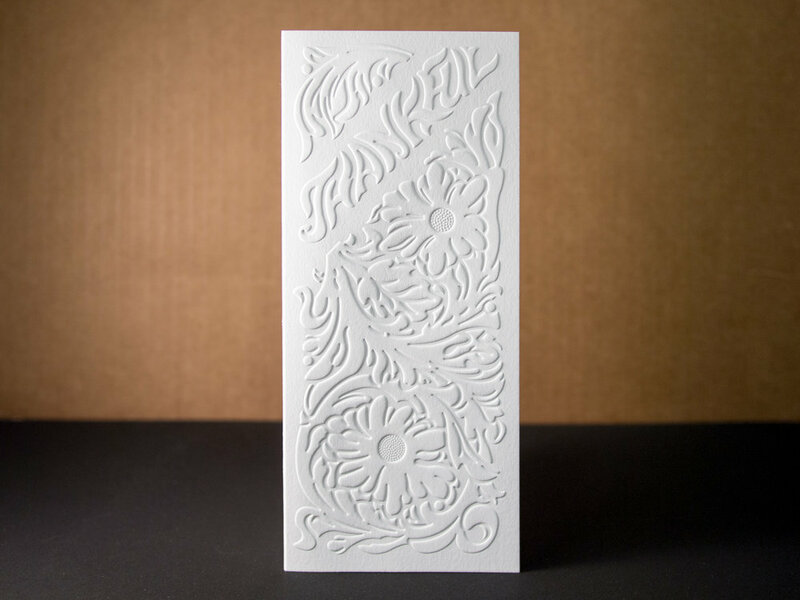 Two beautiful sets of blind-embossed holiday cards designed by Chad at The G Brand. A quick refresher: A blind emboss uses a convex die to press the paper from the back into a concave counter-die in the front creating a raised surface. This is not to be confused with a letterpress deboss — the impression made by a letterpress die pressing into the front of the paper. Posted in holiday cards and tagged with blind emboss, christmas, thankful, folded card, holiday. August 17, 2017 by Travis Friedrich. Letting you know what we've been up to at Parklife Press.